The past 12 months have proved transformational at iconic furniture design and manufacturing company, Herman Miller. 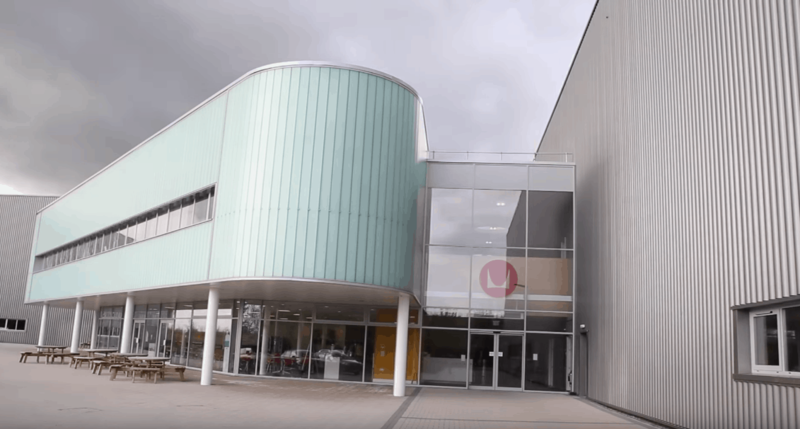 For example, in July last year the company consolidated its previous two sites at Bath and Chippenham into a new 15,794m² facility in Melksham, uniting its regional R&D, manufacturing and logistics functions into one state-of-the-art building that also showcases the companys unique approach to designing office work spaces. In a further important business development, the company has set about reducing its development time and supplementing its prototyping processes through the acquisition of a Stratasys Fortus 400mc Production Series 3D printer from SYS Systems. Now, instead of waiting 5-10 days for outsourced 3D-printed parts, components can be produced overnight. Herman Millers new facility, known as Portal Mill, is enabling the company to increase efficiency and expand operational capability. Its stylish office chairs and furniture are manufactured and assembled here, before being exported across Europe, the Middle East and Africa. Indeed, the companys designs can be found in offices and homes the world over, and in the permanent collections of museums. Innovative manufacturing practices have also helped to establish Herman Miller as a recognised global leader, and it is here that the companys move into 3D printing is ensuring the business stays in the vanguard of leading furniture specialists. 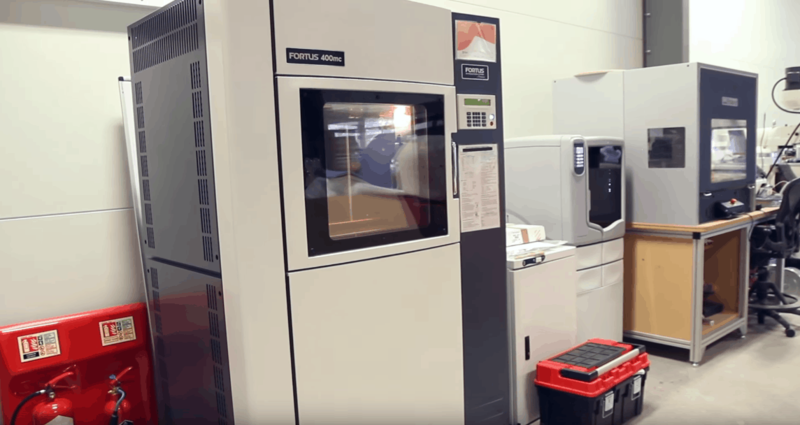 The Stratasys Fortus 400mc allows users to manufacture parts without the oppressive costs and time requirements of tooling. Furthermore, changes can be made quickly and affordably, at any stage in the 3D printing cycle. Fortus machines are equipped with an extrusion head and gantry that maintains tight positional accuracy and close component tolerances. Based on the use of Stratasys proprietary FDM (Fused Deposition Modelling) technology, the Fortus builds parts from stable, production-grade thermoplastics that continue to outperform nearly all competing technologies in accuracy, repeatability and strength. 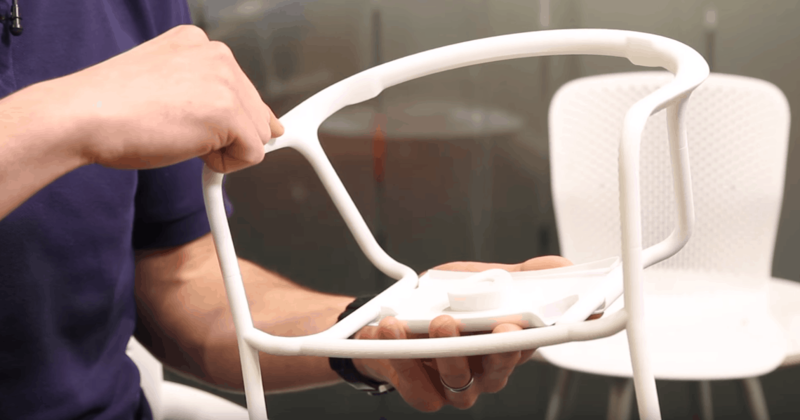 Component quality from the Stratasys machine is exceptionally high, which is vital as Herman Miller offers a 12-year warranty with its chairs. As well as proving highly useful for generating rugged prototypes that function like end products, the new printer is proving highly adept at producing tools and test components. This capability is vital to a company that has a long and successful track record of leading the market when it comes to new product development. The most recent example is the Keyn Chair Group, a range of meeting and side chairs that offers responsive movement and immediate comfort for collaborative spaces. The design, by the London-based partner company, forpeople, uses a quartet of key parts to create every model in the group, so each retains the same visual appeal. The idea that Keyn chairs needed to move was decided early in the design process. Observations of meetings showed that people continuously shift in their seats, leaning forward or stretching back, typically up to 53 times an hour. People expect movement in their task chair, so it made perfect sense that a meeting chair should support and respond to those movements too. The answer to supporting seated movement came in the form of CradleFlex. It responds to the sitter, effortlessly reclining by up to 10° while simultaneously allowing the seat to move forward. By supporting changes in posture, Keyn helps people remain comfortable and therefore focused, which is good for their bodies and their minds. Moving forward, Herman Miller can now look forward to using its new Fortus machines to push the boundaries of design innovation even further. Importantly, Fortus machines are easy to operate anyone can be taught how to load materials, replace build trays and use the simple touchscreen interface. Whats more, users can opt to fine-tune part performance, optimise build speed or achieve a smoother finish, depending on the parameters selected.